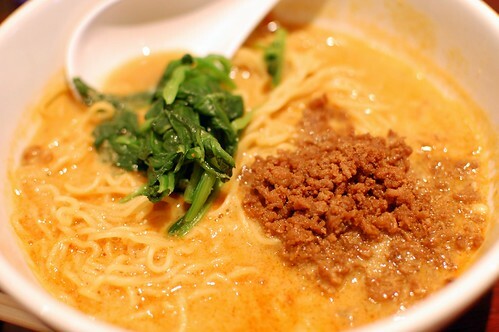 Chin-Ma-Ya of Tokyo purports to specialize in two items: chin-ma han and tan-tan men. It's sort of tragic that this cute little place doesn't do either very well. 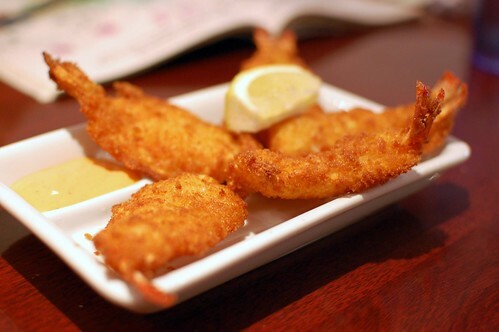 It's fried shrimp. It's hard to ruin. Decent start. 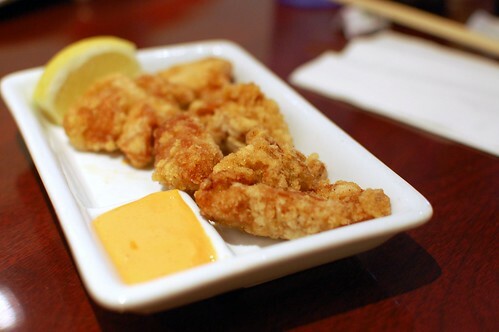 Karaage -- marinated fried chicken with chili-mayo sauce ($3.90). It's fried chicken. Also hard to ruin. Didn't really taste the "marinated" part, though. I got the half combo -- half portions of chin-ma han and tan-tan men ($7.70). Kind of a great deal, but not particularly tasty. The tofu sauce was too sweet. The noodles were flaccid. Yes, flaccid. No bounce at all. The soup was oddly thick. So sad. Mr. Monkey and his family didn't seem as disappointed with their meals. Maybe I expected too much. Maybe the non-signature dishes were better than the signature dishes. Who knows? Here's what they ate. 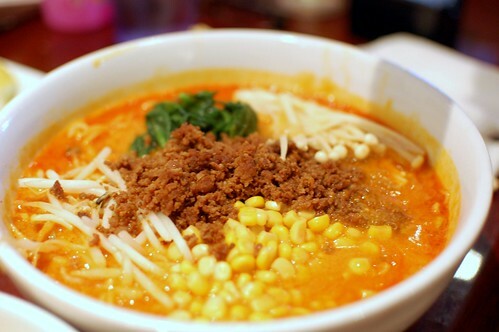 Tan-tan men ($6.90) with enoki mushrooms ($1.00), corn ($1.00), bean sprouts ($1.00), and green onions ($0.50). 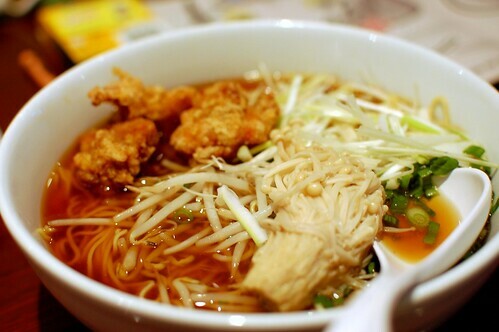 Karaage shoyu ramen ($8.50) with enoki mushrooms ($1.00), bean sprouts ($1.00), and green onions ($0.50). 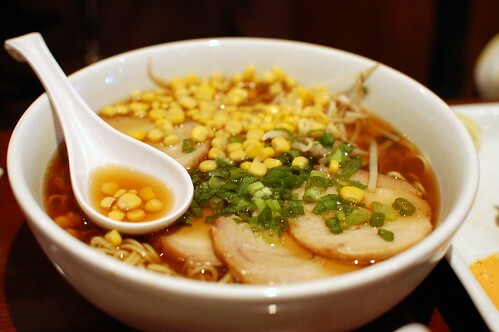 Shoyu ramen with cha-shu roast pork ($6.50) with bean sprouts ($1.00) and green onions ($0.50). Too bad about the food. It looks like a cute place. 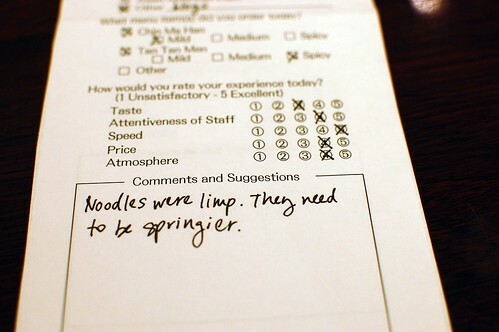 As for the noodles, flaccid anything is a huge negative in my book, lol. Kpham always taught the mister and I to order the specialty dishes. I would have done the same thing as you. Sad face. :( Poor little limp noodles. Sorry Weez. On the upside, your photos make the food look really tasty. Is anything flaccid ever good? I don't think so. Wrote this up few days after rameniac first visited. Never re-visited. 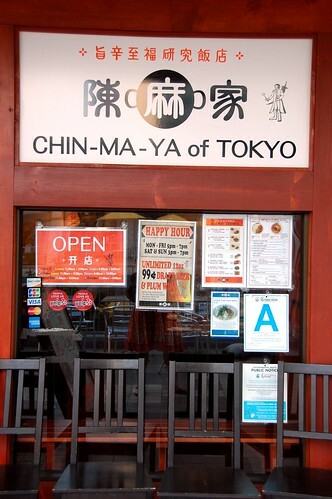 it's Chinese food poorly done-up in Little Tokyo. Total farce, lousy execution. 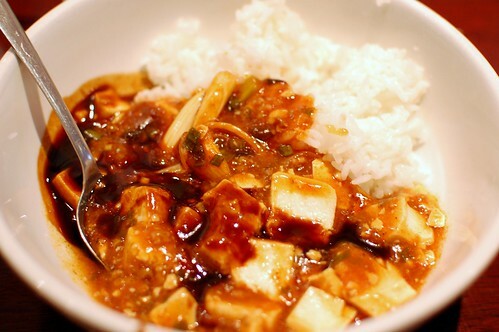 Pathetic mapo tofu. Hmmm. Interesting. 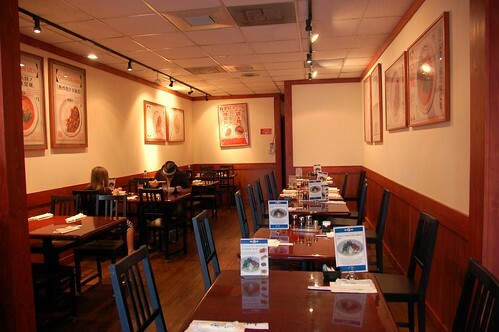 Looks a little like a nicer pho house. flaccid is one of my favorite words. 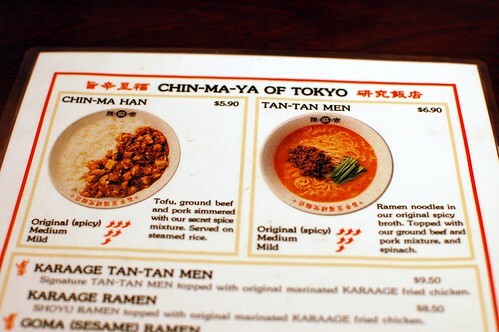 too bad as tan tan men is one of my faves.